I have a fun new challenge to tell you about! Not a contest- however a contest IS coming soon... but this is just something fun that I thought many of my viewers/readers would like to take part in. It was prompted by a message from one of my viewers- she said I should do a tutorial using only those little sponge tip applicators that come with eyeshadows- since many people don't have a huge brush collection. Not only did I think this was a great idea, I thought I'd ask my viewers on YouTube to post video responses showing their sponge-tip looks, and for those who don't have a YouTube account- you can email a picture of your finished look, along with a list of the products used- to beautybroadcast@hotmail.com ...then I can post those pics here on the blog so everyone can enjoy them! So I hope you'll decide to take part! The look can be as easy or complicated as you like. Use high-end products, drugstore products, whatever. The only rule is that you use sponge tip applicators and NO brushes for the eyeshadow look. To see how I accomplished this look with sponge tip applicators, check out my video! First i applied e.l.f's eye primer. 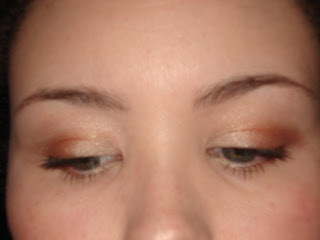 then i applied e.l.f's ivory eyeshadow. 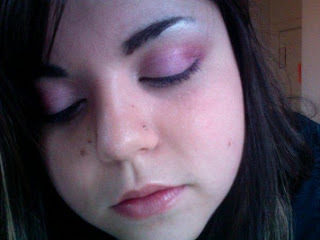 then i applied e.l.f's pink ice over the ivory. 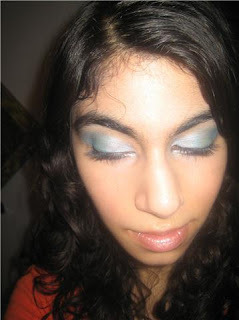 then i applied e.l.f's periwinkle in the crease. then i blended it all out using a clean sponge tip very lightly. 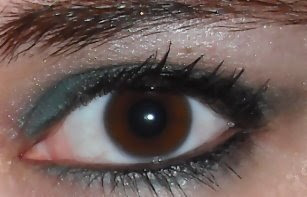 after that i applied revlon colourstay liquid eyeliner on my top lid. 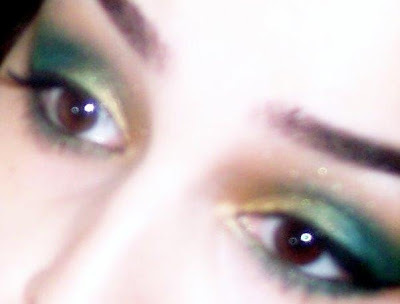 i also applied revlon colourstay on my waterline. last i applied covergirl lash blast in black! loreal felt tip liner in black on upper half lid. Prime your eyes. I used Urban Decay Primer Potion. third, and then blended the two colors together. for a more daytime look. I swept "Last Call" down underneath my lower lashline, on the outer third. I the added "Grifter" to the middle third on the lower lashline, and used "Sin" to finish off the lower lashline and highlight the inner corner. I used "Polyester Bride" as a browbone highlight. I applied Rimmel Exaggerate Eyeliner in Black Noir to my upper lashline and water line, curled my lashes, and used L'oreal Telescopic Clean Definition mascara. wow that's such a good idea and you did a great job! great idea, i'm excited to see the entries since i really have a problem with this little sponge thingys! Everyone looks great, nice job.